Lopa Kothari presents new music from around the world, plus a live studio session in which Nitin Sawhney performs tracks from his new album Dystopian Dream. Lopa Kothari with new music from across the globe, and a live session with Nitin Sawhney, performing tracks from his new album 'Dystopian Dream'. Nitin Sawhney is joined live in the studio by his regular band Eric Appapoulay on guitar, Aref Durvesh on Tabla and singer Nicki Wells. 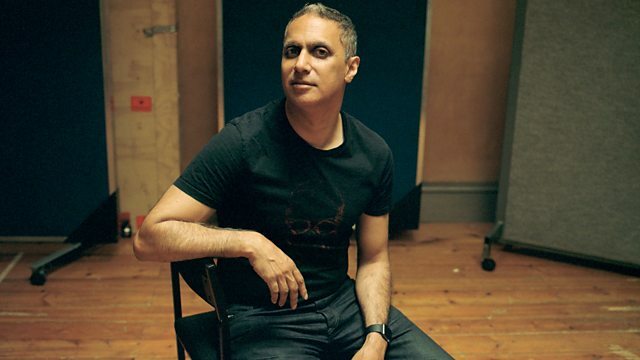 Across two decades, Nitin Sawhney has become one of the most accomplished and versatile musicians on the scene - with credits as guitarist, pianist, songwriter, film composer, DJ, orchestral arranger, producer, theatre director, and not least broadcaster. Dystopian Dream is his tenth album, with dark themes running through it. Nitin Sawhney says of it, "I became increasingly disillusioned with the hypocritical world of politics, with immigrants (like my parents) once more being scapegoated and austerity measures being used to bludgeon the poorest and most vulnerable sections of society. I found these feelings of despair about political and social injustices being blamed on immigrants were being amplified constantly in the news.". Soul Sok Séga: Sega Sounds From Mauritius 1973 - 1979. Palm Wine Music in the 21st century. West Africa At The British Library. Reina De Todas las Fiestas. Mustt Mustt (Massive Attack Remix). Rough Guide to Carlos Gardel. The Very Best of Laure Daccache (L'âge d'or du chant arabe). Dois Amigos, Um Século de Música.